There are many companies that create a website with the sole objective of obtaining an online presence, mainly because they all have it. These companies do not give weight to how their site will be used, nor measure the results. This is why the online presence of these companies do not bring results and are not very effective. In this article, we cover how having a company website can really become an added value for a businessy and how to make it a fundamental tool to reach new potential customers. When you invested time and money in designing and building your company website, you did it with the assumption that many more leads would come to your business and you would have had a Return on Investment (ROI). Well, that was not the case. You find yourself thinking that you have spent money unnecessarily and have received nothing in return. In reality, it takes just a few tricks to be able to improve your company website. One of these concerns the loading speed. Your company website, to increase the length of stay of the users entering it, should not be slow to load. How many times have you found yourself snoring in front of the computer monitor because you wanted to enter a site and this took whole minutes to open? Here, try to prevent a potential customer for your business from clicking on the X and running on the competitor site, because yours is too slow. In this regard, keep in mind that, according to some statistics, 47% of consumers expect sites to be uploaded in maximum 2 seconds and 40% of them leave a page that takes more than 3 seconds to load. Based on this data, you can test the actual speed of your company website thanks to a function of Google, that of PageSpeed ​​Insights. Reduce the size and weight of the images you upload to your company website. The photos weigh heavily influence the speed of your online platform. Before uploading them, optimize weight and size using specific programs, such as TinyPNG. Use the CDN. What is it? CDN stands for “Content Delivery Network”. This network uses different connections and different addresses to allow simultaneous downloading of multiple files to the user. Use GZIP compression. Thanks to this process, you can reduce the weight of the pages of your company website, speeding up the loading. Once you have improved the loading speed of your company site, you cannot afford to lose potential customers from mobile devices. This is why your site must be responsive, like this website. In practice, it must be displayed optimally both from a PC and from a smartphone. If you’ve never dealt with this matter, do it now. According to the most recent statistics, in early 2018, more than 52% of online traffic around the world came from mobile devices, up 2% compared to last year. Do you really want to miss out on the opportunity to get closer to a good slice of the market that searches for you via smartphone? I believe the answer is obvious. What can you do to make your company website mobile-friendly? Make the writing and fonts easily readable from any device. Do a lot of tests on it before putting your content online! Avoid images that are too large: they may be half-displayed on the device or take up too much space! Avoid installing too many plugins. Remember that you can check whether your site is mobile-friendly or not with the Google mobile optimization test, although you will surely already have noticed if something is wrong, using Google Analytics: if mobile, your stay on your site has a value very low and the bounce rate is skyrocketing, it means that we need to act as soon as possible. Let’s make a test. Try opening your company website and pretending you don’t know at all where the products, services and information that any user would like to receive are. Alternatively, to make the test even more reliable, let someone who doesn’t know anything about your online platform make the switch. At the end of the test, ask yourself: is my company website really intuitive? Is it perfectly clear what will appear when clicking on a specific category? Is there order and precision? If you are experiencing any difficulties, it is likely that you will need to review your navigation menu. Focus above all on your goal: to be able to call up the largest number of users to have new leads or sales opportunities. Obviously, if your company website is confusing, you will hardly be able to get a good number of potential customers. 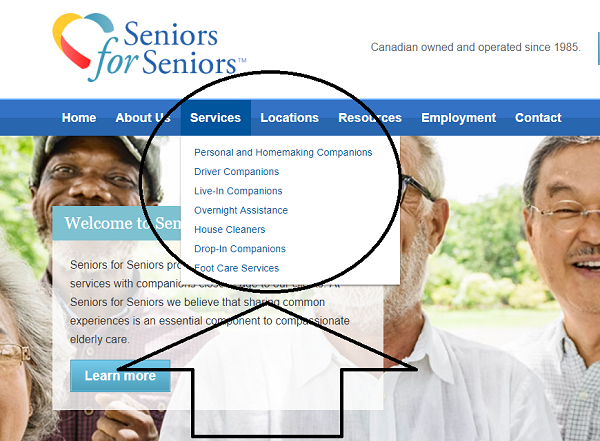 As you can see, to explain an organization known worldwide for the senior care, only 4 main categories are sufficient: “About”, “Services”, “Employement” and “Contact”. Don’t overdo it with heavy words inside the menu! Keep in mind that not everyone has technical language as you can have it, that you are perfectly integrated in the sector. Sometimes, moreover, a few words are enough but well defined and understandable for everyone, to make the center. By doing this, the user’s navigation will become simpler: in practice, even before entering the specific page, the visitor will already know what he will be facing and, therefore, he will already know if he is on the right path or is wrong category , without losing further time. Nothing more effective, don’t you think? In this article, we have seen how you can improve your company website and make it effective, thus attracting new potential customers. 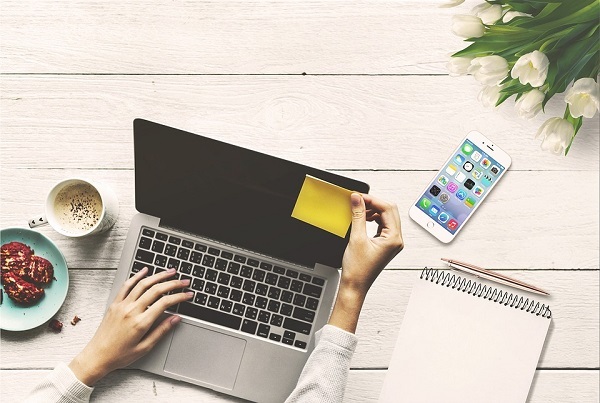 Thanks to these small tricks, you can therefore boast a better company site, able to attract new users and to showcase an excellent corporate image.